Congratulations and well done to Sarsfields five who played their part on Imokilly’s victory in the U16 Munster Championship recently. In the final played in Mallow, Imokilly overcame hotly fancied East Clare 15. 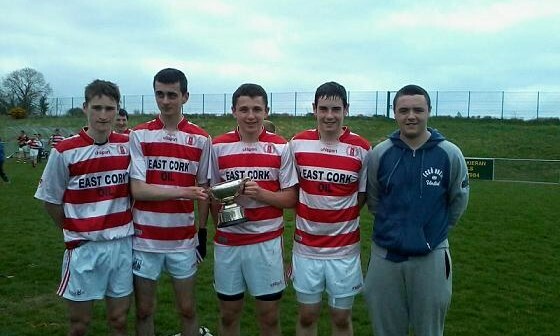 Left to Right: Donal English, Luck Hackett, Edward Gaffey, Eoghan Murphy & Cian Daly(Injured for the final) Well Done Lads! !